Camping is a great way to discover the untouched beauty of our national parks. While enjoying your camping experience, there are many things to consider before heading out. 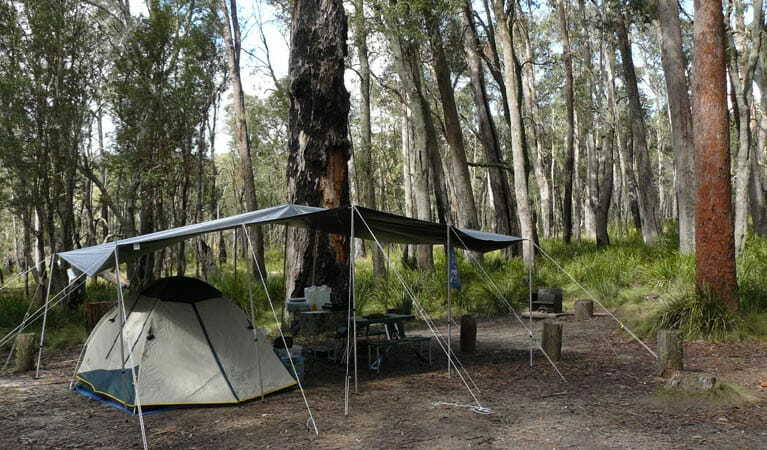 Designated camping areas within NSW national parks vary from park to park. For more information on where you can camp, please contact your local NPWS office before you arrive. 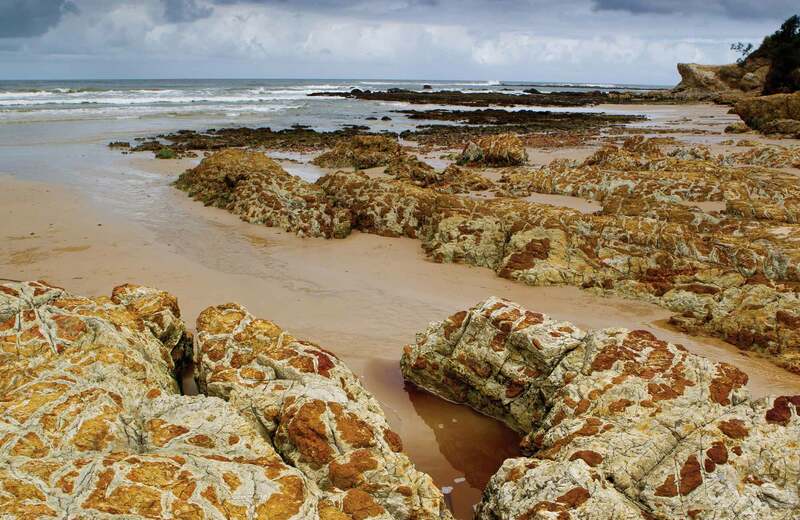 In NSW national parks, camping is usually restricted to within the boundaries of a campground. This is for conservation purposes, your safety, and the enjoyment of our parks for all visitors. When you arrive, check signage on the ground to see where camping is permitted. Always check the specific information available for the campground you're planning to visit. Drinking water isn’t available at all campgrounds. Check before you arrive. Avoid camping directly under large trees. When pitching your tent, remember to look up to ensure there aren't any loose, dead or overhanging tree limbs. To protect the land, avoid camping on low or poorly drained areas where soil or vegetation may be easily damaged; look for harder ground or sandier soils. Please follow all fire safety information during total fire bans and consider downloading the Fires near Me - Mobile App, especially in summer. If you're camping off the beaten track, use a fuel stove. If you do need to light a fire, please remove the top layer of soil before making the fire. Keep the fire small and ensure you put the fire out thoroughly, scatter the ashes, and replace the top layer of soil. Campfires should not be used as a rubbish incinerator; fire doesn't destroy aluminium foil, and plastics release toxic gases when burned. Dead wood provides valuable habitat for native animals, so please don’t break branches or collect fallen timber for fires. Carbon monoxide poisoning can occur from combustion of fuels such as petrol, oil, gas and wood in areas with little or no ventilation, including tents and caravans. Domestic animals pose a danger to native animals, and are not permitted in any national park. Please leave your pet with a friend or family member. Please don't feed native animals. Kangaroos, goannas, dingos and kookaburras are common scavengers around camping and picnic areas. Be sure to store food and rubbish in secure containers and away from animals. The safety of other park visitors, native wildlife and the environment is important too. Read these tips on how to be a considerate camper.